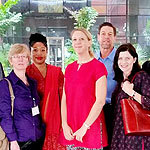 The International Education Administrators (IEA) seminars help U.S. international education professionals and senior higher education officials create empowering connections with the societal, cultural and higher education systems of other countries. Grantees have the opportunity to learn about the host country’s education system as well as establish networks of U.S. and international colleagues over the course of an intensive two week grant duration. Grantees return with enhanced ability to serve and encourage international students and prospective study-abroad students. 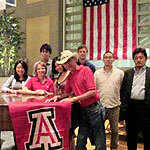 All travel, accommodations and schedules are provided by the Fulbright IEA Program. For more information, contact IEA staff at iea@iie.org. Please reference individual award descriptions for additional eligibility information, including professional qualifications. Professional Profile: Individual award descriptions specify the preferred administrator background and years of experience. Language Requirements: The seminars are conducted in English, foreign language proficiency is not required. Directors of English language programs and instructors in such programs are not eligible for many of these awards. It is essential that all required application components for the 2020-21 U.S. Scholar Program be complete and submitted by the application deadline. All applications require a statement of intent. This is your opportunity to explain your specific strengths as a candidate to reviewers and potential hosts. It must be clear and compelling to audiences both inside and outside your field. Your current job responsibilities and how they relate to this grant. The impact your participation would have on your career, professional development, home institution, and/or community. Why you have chosen this country. How you would share what you have learned with your home institution and others. How the IEA seminar would contribute to the international education goals of your institution? All applications require a curriculum vitae or resume. It should be clearly organized and tailored to show how your credentials, professional standing and accomplishments relate to international education. All applications require an institutional statement, except for the Russia Community College Administrators Seminar award. General information about your home institution (type of institution, total enrollment, number of degrees offered, etc.). The number of international students on campus and where they are coming from. If applying for the IEA Seminar in Japan or Korea, you must include the number of Japanese or Korean students currently on your campus. The study abroad opportunities available on your campus. Any institutional partnerships, particularly with universities in the country where the grant takes place. 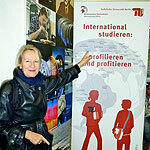 Any future goals/plans for internationalizing the campus. All applications require three letters of recommendation. Recommenders evaluate your professional qualifications, the potential for institutional impact, and your personal qualifications and qualities. Personal qualities: Applicant displays ability to be adaptable, culturally sensitive, collegial, and can serve as a cultural ambassador for the U.S.
Can I apply to or be considered for more than one higher education administrator seminar? Can I also apply for a core award for teaching and/or research? Can I propose a project of my own design for the seminar? Can separate briefings be arranged for me? Where do I upload the institutional statement, and do I need a bibliography or syllabi? Who should write my reference letters? How should they be submitted? 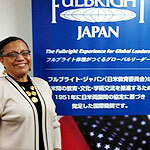 If I already had a Fulbright, can I receive another one? Please read the application guidelines before beginning your application. Begin or return to your application here. No. Applicants may apply for only one award per academic year. This also means that applicants may apply for only one seminar per academic year and will only be considered for the seminar to which they applied. For example, you may not apply for a seminar with an August 1 deadline and a seminar with a February 1 deadline if both are offered for the same academic year. Please consult the Catalog of Awards for the most up to date award offerings. No. The seminars are conducted in English. No. 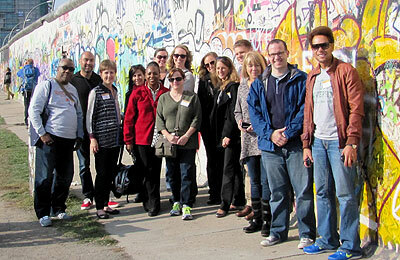 Each country arranges an itinerary of meetings, briefings, and campus visits. There is little time available for individual projects or appointments. There is no "formula" for a successful application. The application should reflect the candidate, why the country was chosen, how the grant will benefit them and their home institution, and what outcomes can be reasonably expected. Desired professional profiles vary across the awards, so you are encouraged to apply to the award that best fits your background and experience. Please see our application guidelines for information on the application components. Also, you can discuss your application and fit for the program with the staff contact listed in the award description. Please upload the institutional statement to the online application. You do not need to submit a bibliography nor syllabi. The best criteria for recommendations is someone who knows your work and character extensively. In addition, they should be able to address the impact your participation would have on your institution and its commitment to internationalization. You may wish to mix internal and external referees. One letter must be written by your supervisor or someone to whom you report; the other two must be from colleagues, speaking to your skills and successes, interest in international education, and personal qualities. Please see our application guidelines. Your application will undergo a two-phased review process. The first phase is peer review, where U.S. international education administrators with experience in the selected country review the applications. After the peer review meeting, all candidates will be notified whether their application has been recommended for further consideration. Recommended candidates are simultaneously forwarded to our counterparts abroad, as well as to the J. William Fulbright Foreign Scholarship Board and the U.S. Department of State (Bureau of Education and Cultural Affairs) for final decisions and confirmation. Grantees are informed of the decisions sometime in the spring. More specific guidelines are found in our Review Criteria and Notification Timeline. Grant benefits vary by country but generally include round-trip travel, lodging, and a per diem that includes meals. Each award description contains details on these benefits. No financial benefits for dependents are provided for the international education administrator seminars. Final selections are based on the U.S. peer review and the commission abroad. CIES operates in conformity with the policies of the J. William Fulbright Foreign Scholarship Board (FFSB). Per FFSB policy, CIES cannot give applicants the specific reasons for selection or non-selection. If you are interested in reapplying, you may contact IIE for general guidance. Preference for Fulbright Scholar opportunities will be given to candidates who have not previously received a Fulbright Scholar grant. Recipients of a Fulbright Scholar grant are eligible to apply for another Fulbright Scholar grant two years after the date of completion of the previous grant. This includes the higher education administrator seminars. (For flex or serial grants, the two-year period begins at the end of the final grant in the series.) Additional Fulbright policies are available here.